Education is important. From Montessori elementary schools to one of the top-rated universities in the Midwest, La Crosse County is home to some of the state’s finest educational programs. 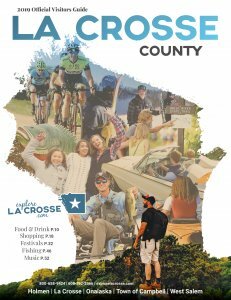 La Crosse is home to a diverse offering of religious centers, including the Sons of Abraham Synagogue, the Diamond Way Buddhist Center, Othman bin Affan Mosque, and the Cathedral of St. Joseph the Workman, which headquarters the Roman Catholic Diocese of La Crosse. Visitors might also be interested in exploring the Shrine of Our Lady of Guadalupe, a 70-acre pilgrimage site just south of La Crosse featuring a classical style church, a votive chapel, a rosary walk and the Culina Mariana restaurant.